is a comprehensive summer arts day program that began in summer 2013 through collaboration between The Katharine Hepburn Cultural Arts Center and the Community Music School. It is focused on families seeking to nurture their children’s creative potential through the arts. This state-licensed camp brings together professional teaching artists from Community Music School and throughout the region to the Katharine Hepburn Cultural Arts Center. 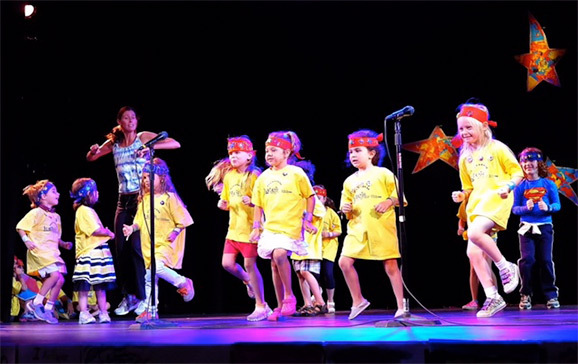 Designed for boys and girls ages 5 to 10 years old, Kate’s Camp is filled with music, dance, art, and theater and each session culminates in a performance for family and friends! A diverse range of activities is offered on a rotating basis to ensure a fresh experience for even the most frequent camper. For more information on Kate’s Camp for Kids, for upcoming dates, and to register, please visit our partner, Community Music School, at www.community-music-school.org/kates-camp-for-kids. 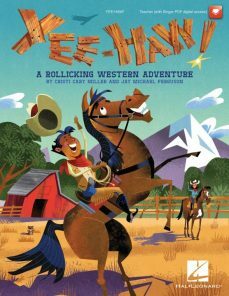 Calling all cowboys and cowgirls! Join us for a rollicking western adventure — ride the open range, be a part of a down home hootenanny, share a tale and a song or two, and sleep under the stars! 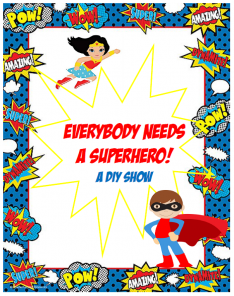 During this week of camp we will be writing our own stories and songs about our favorite superheroes and bringing it all to life on the stage of the Kate. Up, up and away! Welcome to Doggie Town! What’s not to love about a town full of pooches who all have talent to share and to spare? 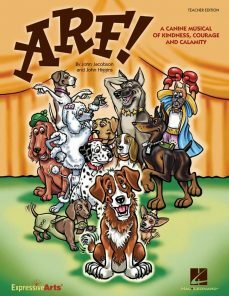 Come join us for this canine musical about kindness, courage and calamity! 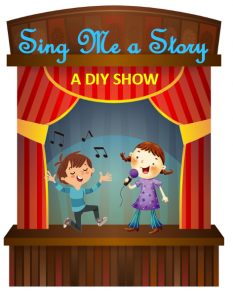 During this Do it yourself week we will bring a little light opera to camp! Together we will choose a familiar story (or maybe even write our own!) and create all of the characters, dialogue and music for a One- of- a-kind, never before seen musical event! 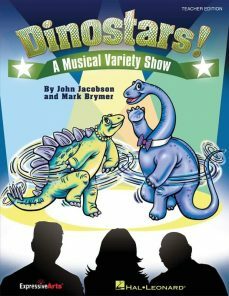 Dinosaurs competing in a talent show? Rapping raptors? A dancing T-Rex? And a panel of judges for “Dinosaurs Got Talent?” Join us for a week of stomping, growling, and showing those judges just what we’ve got! 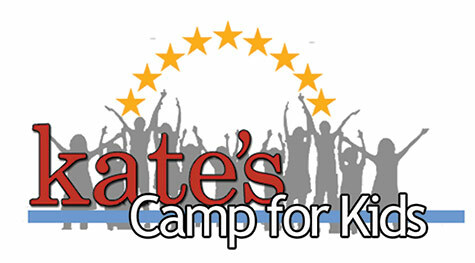 Kate’s Camp for Kids is generously supported by grants from the Bank of America Charitable Foundation, the Christine E. Moser Foundation, The Maximilian E. and Marion O. Hoffman Foundation, and the NewAlliance Foundation.